Without a doubt, the Internet has revolutionized the way people play and work. As the years go by, it’s harder and harder to remember how we ever survived without it. And with the ubiquity of the smartphone, Internet access is always at our fingertips. This has been a double-edged sword for businesses. On the one hand, employees can now tap into the vast amount of research available online on basically any subject. They can facilitate their purchasing process, find new leads, create entirely new channels for sales and collaborate with stakeholders. On the other hand, new concerns have popped up that companies need to be aware of that they never had to address in the past. Just as potent as its ability to facilitate work is the Internet’s ability to distract even the most disciplined employee with its myriad choices of social media networks, online videos of cute cats, online shopping, online gaming or reading up on the latest sports or celebrity gossip. Indeed, an entirely new term has been coined around this practice: “cyberloafing”. Here are eight dos and don’ts that each company should be aware of that can help them tackle this issue. 1. DO provide clear guidelines of acceptable and unacceptable company Internet use. If a company doesn’t provide guidelines of what is considered acceptable and unacceptable Internet use in the workplace, then it is hard to fault the employee who abuses a non-existent policy. For each employee who will have access to a work computer with Internet connectivity, provide guidelines of what is and isn’t allowed. Have employees read and sign the agreement, signifying that they understand the official company policy. -Accessing sites or content that promote hate, harassment or threatens others. -Using the Internet in the workplace to ridicule others based on the basis of their ethnicity, gender, religion, sexual orientation or any other personal measure. -Accessing pornographic sites, streaming or otherwise. -Using Peer to Peer networks (P2P) such as those for Bittorrent. -Downloading or sharing protected intellectual property such as music, video, software, etc. -Any other specific actions that the company believes pose a threat legally or competitively for their business. 2. DO use productivity measurement tools such as MySammy. Using a tool such as MySammy to measure employees’ computer activities and diligence at work, the need to completely ban access to personal Internet use isn’t needed. Because MySammy records the Active/Inactive time on the computer, the time they are using certain applications, websites visited, keystrokes and mouse clicks per minute and more, a comprehensive picture can be painted of how diligent an employee is at his tasks. For instance, if a worker shows a high Active time on their computer; applications used as Microsoft Excel, Microsoft Powerpoint; websites visited as Salesforce.com, LinkedIn and Wikipedia; then it can be logically assumed they are being diligent at their work. If that’s the case, then allowing them some time to use the Internet for personal use is a fine trade off for their dedicated service. 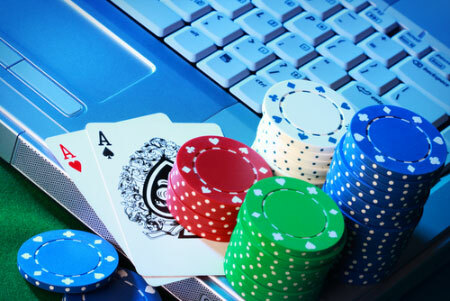 Contrast that to a worker who shows a high Inactive time; applications used are mostly Solitaire; websites visited are eBay, ESPN and Poker.com. 3. DO empower your employee. With a good tool in place such as MySammy, you are then liberated to further empower your employees. As more and more are expected of company workers, businesses are continually looking for ways to empower them to excel in performance. If management can be reassured from MySammy that an employee is being diligent, then it does away with a big part of the suspicion and mistrust that might exist, particularly for job roles without clear, quantifiable goals or output measurements. 4. DO have good anti-virus measures in place. 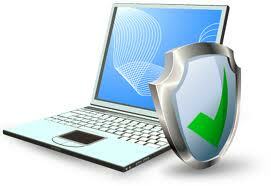 Accessing the Internet means there will always be the threat of viruses, malware, Trojans or spyware. Don’t rely on the ability of the user to avoid being infected as in some cases it could be very difficult to distinguish legitimate versus malicious software. Instead, use a layered and tiered approach for anti-virus and malware efforts. If the company utilizes a VPN, make sure both the default Windows Defender is updated, as well as other well-respected AV companies. Many are free, such as AVG or Avast! Install the latest Java or Adobe updates to protect against new vulnerabilities as well. 5. DON’T just block websites with a blanket ban through website blocking software. Blocking websites may have been an acceptable strategy ten or fifteen years ago. But blocking websites may also inadvertently prevent employees from accessing sites that may legitimately help them in their jobs. Sales and marketing may need access to social media. Finance and accounting may need access to ecommerce websites or banking sites. 6. DON’T forget that employees have their own smartphones. Today almost every employee will have access to their personal smartphones. According to a MySammy survey, 87% of responding companies allowed their employees to carry and access personal smartphones. An employee who is hell-bent on wasting time at work will then have an easy avenue to skirt website blocking and simply shift their cyberloafing to their own iPhone or Android device. Today’s smartphones are literally powerful computers that slip in the pocket, doing tasks that once were only for desktops or laptops. Streaming videos, instant messaging, full-blown gaming and of course Internet web browsing is commonplace on these devices. With MySammy in place, employees who are wasting time on their smartphones will start to show as Inactive, with decreased metrics such as keystrokes or mouse clicks. As we’ve seen above, the solution of blocking websites is like taking a sledgehammer to a problem that needs a surgeon’s precision. Above all, employees these days are doing more diverse tasks than ever before. Smartphones also provide work email access that means they are likely thinking about work or responding to work issues well outside “typical” 9 to 5 hours, which is almost meaningless. Dealing with global suppliers, contractors or customers also means some employees may be doing work at all hours of the day. The expectation then is that employers should be more flexible in what employees do doing “work” hours if they are expected to perform work duties during “off” hours. 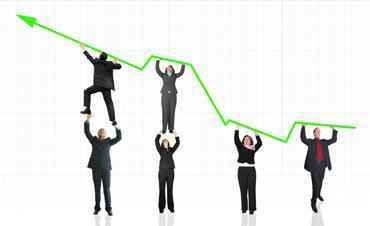 Using a tool such as MySammy can help to dispel the rigid 9-to-5 mindset for one that looks at performance and activity over an aggregate whole. The MySammy case study outlines an instance where the employee being measured proactively chose to put in work during weekends to achieve a preset goal. 8. 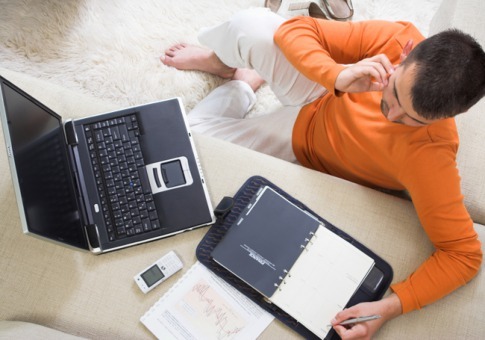 DON’T ignore the potential of telecommuting. The recent hoopla over major well-known companies deciding to ban the practice of telecommuting seems to have placed the blame of ineffective employees on “telecommuting”. However, the failure of these companies is one of management, not of telecommuting. As more and more work is performed on the computer, via the Internet, facilitated through collaboration software tools, the future workforce will necessarily become even more diffuse. And this is a good thing. Telecommuting has been proven to provide benefits such as increased productivity, increased satisfaction and the obvious positive impact on the environment (saving up to 10 million barrels of oil per year). Installing a tool such as MySammy means that management can rest easy knowing that they are getting the best of both worlds. Employees are more productive and happier with a remote work arrangement while management can have hard metrics to show that abuse of Internet use in the workplace is being avoided even for those not in the physical workplace. Ready to put to rest worries of Internet use at work? Click here to try MySammy for free for up to 4 users with no expiration, and no credit card required.